This guide shows how to connect to the eduroam wireless network at campus. 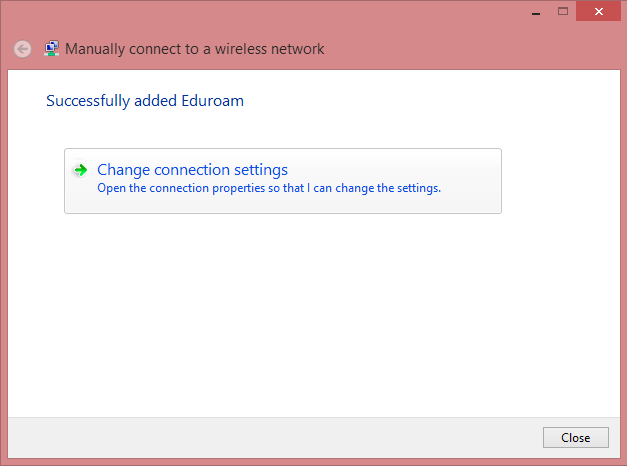 It is recommended to use the automatic setup for Eduroam in order to get the most stabile Connection. Automatic set up for Windows 8. Computers in the NMBU domain (receive the NMBU policy), do not have to run the setup file. Remember: The full user name for NMBU eduroam is «username@nmbu.no». Manual settings for Windows 8. If the automatic set-up file does not work, try this manual set-up. 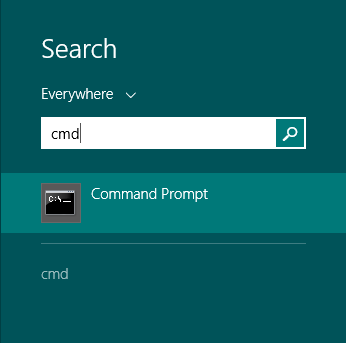 Start Command Prompt from the startsite by writing cmd and choose the program. Let the cmd-window stay open. 2. Right click the network shortcut down in the right corner on the desktop, and choose Open Network and Sharing Center. 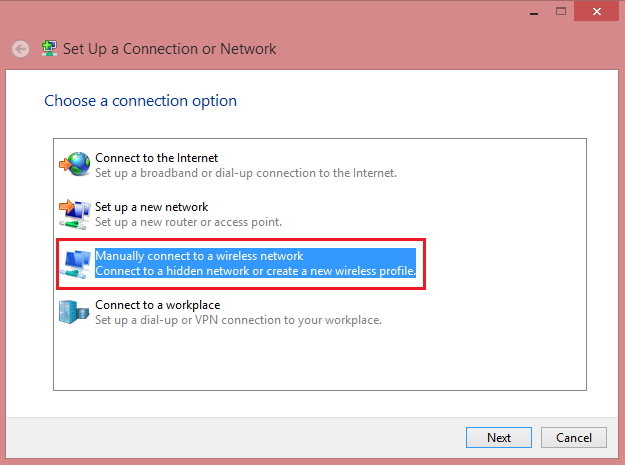 Choose Manually connect to a wireless network, then Next. Enter the information as in the picture below, then Next. 4. 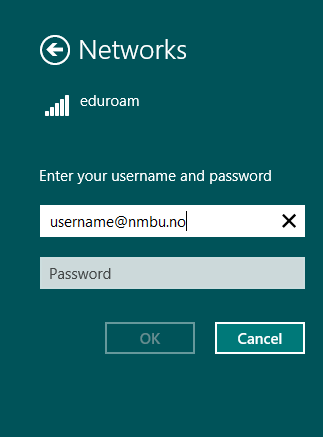 At the list over wireless networks choose and log into eduroam with username@nmbu.no and your password. 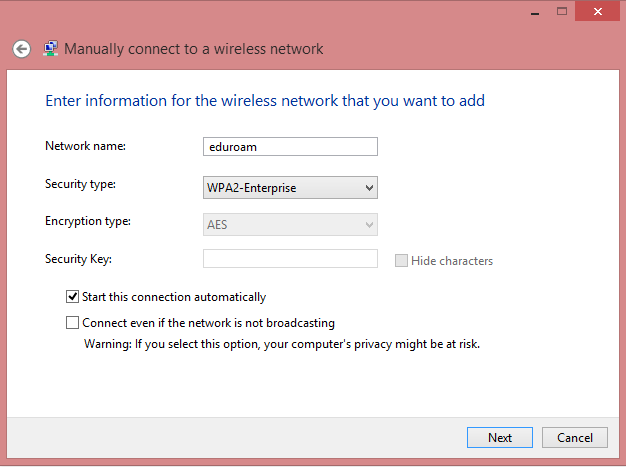 This entry was posted in IT-documentation and tagged Eduroam, Windows 8, Wireless on December 17, 2013 by Mohammad Usman.